Cars and kids. They don’t mix. Raisins in the upholstery, crumbs in the cup holders and sweet wrappers under the rugs. You name it – the car is generally full of it. We were therefore chuffed to be provided with a cordless Dyson Total Clean V6 to test out, so we could see how well it tackled our raisin infested Honda. We wanted to find the solution to kiddy car mess troubles not just for ourselves, but for others too. What is the Dyson Total Clean? The Dyson Total Clean can be used both as a small handheld, as well as coming with an extension so you can still stand and clean up that mess if you need too. The attachments include those that work on fabrics, wooden flooring, carpet, upholstery and that cylindrical one you always get for the edges. Something for everyone really! There is a small see through collection compartment just below the handle of the Dyson Total Clean. This releases when you press a little button nearby. To power the vacuum, you need to press and hold a button on the handle. This is really easy to operate and doesn’t require too much pressure. The kids, for example, were able to push it down and hold it without too much difficulty. 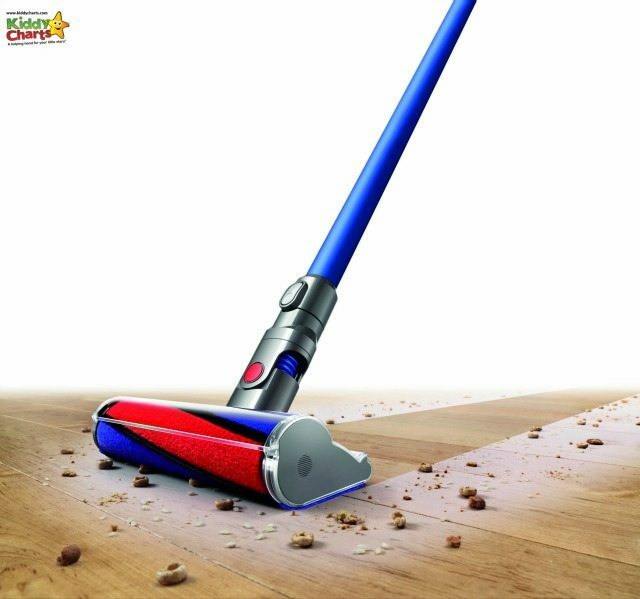 The Dyson Total Clean V6 is available from Currys for £429.99 with all attachments. What did we think of the Dyson Total Clean? There really wasn’t a better way for me to put the Dyson through its paces than use it to attack our car. I found it light, easy to use, and perfect for getting those hard to reach places. I had made sure that the Total Clean was fully charged, and it showed no sign of losing its charge completely, and it took me around 45mins total time to finish beautifying the Honda. The carpet attachment in particular sucked up all that kid related rubbish that ends up on the floor and seats in a car. It even managed to make my sons seat look clean after a trip to football practice! The car wasn’t quite as good as new but from this..
That’s definitely more than you can hope for with a family car and only 45mins before you have to head off to a friends daughters third birthday! We need to attack it again with a bit of a cloth to wipe those ever-present footprints and hand-prints off, but muddy football prints aside, it was looking an awful lot better. We loved this product, and our tip for keeping a spotless car – buy one! 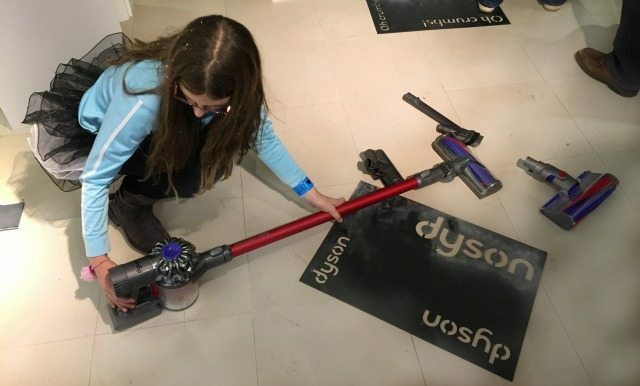 Joking aside, the key idea is to have a handheld vacuum, and that means that whatever mess you make on your latest trip out with the kids, as soon as you get home – you clean it up. We have put the Dyson Total Clean as a handheld in the cupboard under the stairs, so that when we get home from our day trips out; there is the Dyson Total Clean to help us out. Keep it charged and ready, and you will be surprised at home much easier it is to keep the car spick and span. Shove it away, without giving it due care and attention and the car, and probably the house, won’t be looking quite so lovely when you take that next trip. 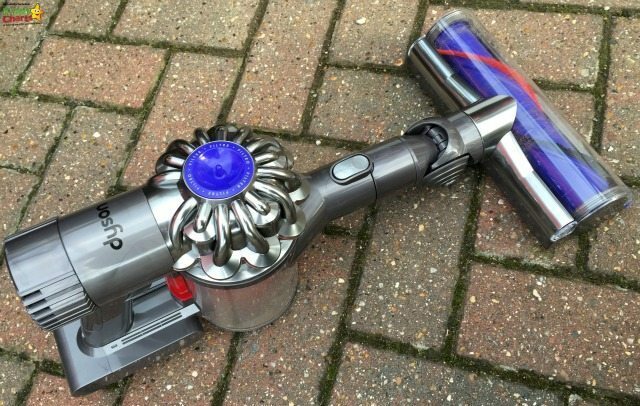 We were send the Dyson Total Clean for the purpose of this review/test, but all opinions are our own. 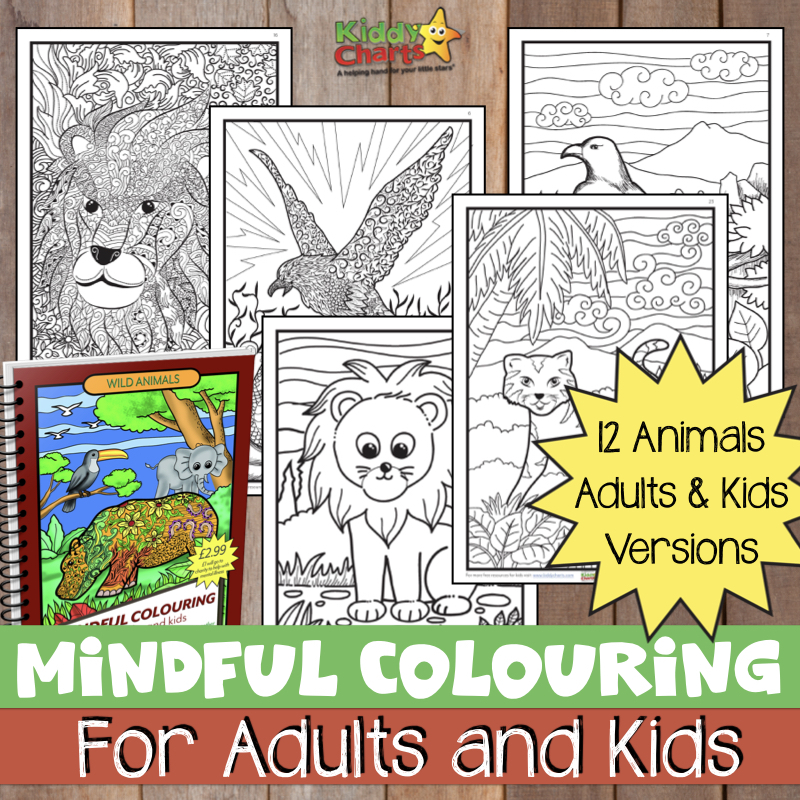 Great sharing… Really, am getting frustrated after travelling with my children. they are very mischievous and they want big space in the car and they create mess everywhere in the car. Thanks for this post..Its really seems to be helpful for me..I will be looking forward to buy this product. its too amazing tool of cleaning the car. its really amazing. thanks for shearing us great information.